THIS HOME IS A MUST SEE! From the moment that you step in the front door, you will be impressed with the updates and decor in every room. The spacious, bright, updated kitchen will grab your attention while the cozy, relaxing family room makes you feel right at home. 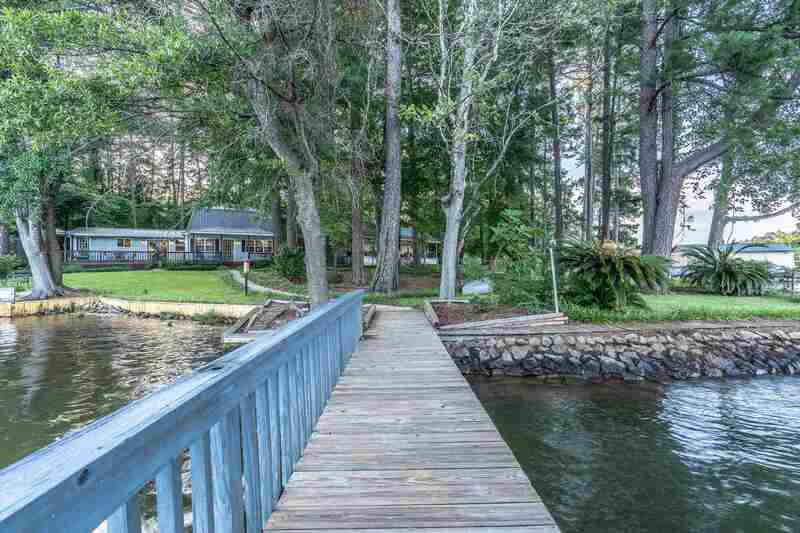 With three impeccably decorated bedrooms and a large modern master bath, this house will comfortably accommodate your needs as a permanent home or lakeside vacation getaway. Stepping outside, a flat, stone path through a well-manicured backyard leads to the two-story custom boathouse that includes a covered slip and spiral staircase to a fully enclosed party room with million-dollar big lake views that sets this house apart from all others on the lake. This house checks every box to build memories of a lifetime. Island Creek is a subdivision within the city of Sparta, Georgia. There are currently 10 Homes for Sale within Island Creek, with asking prices ranging from $3,000 to $284,900. The average list price per square foot of the available inventory in Island Creek is $166, which is above the Sparta average of $163. The Average Sales price of all sold real estate in this subdivision for the past year is $152,000. Recent comparable homes have been selling for 97.77% of their asking price. Waterfront homes represent 10.00% of the available Island Creek inventory. The population of Sparta, according to the 2010 Census, is 1,400. The total number of households in the zip code of Island Creek is 3,418, with an average household size for of 2.39 people. The total number of renter households within the zip code of 31087 is 832, which means that 75.66% of households in this zipcode are owner occupant households. 16 NE Tulip Court #16, Sparta GA 31087 is a Home, with 3 bedrooms which is recently sold, it has 2,050 sqft, 392 sized lot, and Boat Garage,Carport parking. A comparable Home, has 3 bedrooms and 2 baths, it was built in and is located at 270 Gardenia Rd #408 Sparta GA 31087 and for sale by its owner at $ 139,900. This home is located in the city of Sparta , in zip code 31087, this Hancock County Home, it is in the Island Creek Subdivision, and Holiday Shores are nearby neighborhoods.